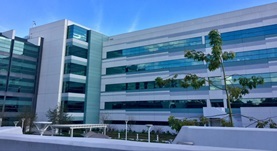 Dr. Bonnie Flannigan graduated the medical school from the University of Western Ontario and completed his residency program at the UCLA Medical Center. He is specialized in radiology and board certified in diagnostic radiology. 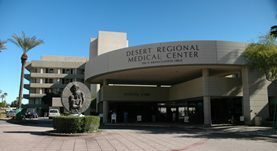 Dr. Flannigan has been in practice for more than 20 years and is affiliated with the Desert Regional Medical Center. During his career, he has also contributed to 20 publications of medical interest. Dr. Bonnie Flannigan has contributed to 3 publications. The use of MRI to assist in diagnosis of pigmented villonodular synovitis of the knee joint. Mandelbaum, B. R., Grant, T. T., Hartzman, S., Reicher, M. A., Flannigan, B., Bassett, L. W., Mirra, J., Finerman, G. A.; Clin Orthop Relat Res. 1988 Jun. Dynamic-range compression in surface-coil MRI. Lufkin, R. B., Sharpless, T., Flannigan, B., Hanafee, W.; AJR Am J Roentgenol. 1986 Aug.
Reicher, M. A., Lufkin, R. B., Smith, S., Flannigan, B., Olsen, R., Wolf, R., Hertz, D., Winter, J., Hanafee, W.; AJR Am J Roentgenol. 1986 Aug.